Meditation has become popular in many Western nations, especially the USA. An increasing body of research shows various health benefits associated with meditation and these findings have sparked interest in the field of medicine. The practice of meditation originated in the ancient Vedic times of India and is described in the ancient Vedic texts. Meditation is one of the modalities used in Ayurveda (Science of Life), the comprehensive, natural health care system that originated in the ancient Vedic times of India. The term “meditation” is now loosely used to refer to a large number of diverse techniques. According to Vedic science, the true purpose of meditation is to connect oneself to one's deep inner Self. Techniques which achieve that goal serve the true purpose of meditation. Neurological and physiological correlates of meditation have been investigated previously. This article describes the process of meditation at a more fundamental level and aims to shed light on the deeper underlying mechanism of the beneficial effects associated with meditation. Research on the effects of meditation is summarized. Introduction: The journals that publish on Ayurveda are increasingly indexed by popular medical databases in recent years. However, many Eastern journals are not indexed biomedical journal databases such as PubMed. Literature searches for Ayurveda continue to be challenging due to the nonavailability of active, unbiased dedicated databases for Ayurvedic literature. 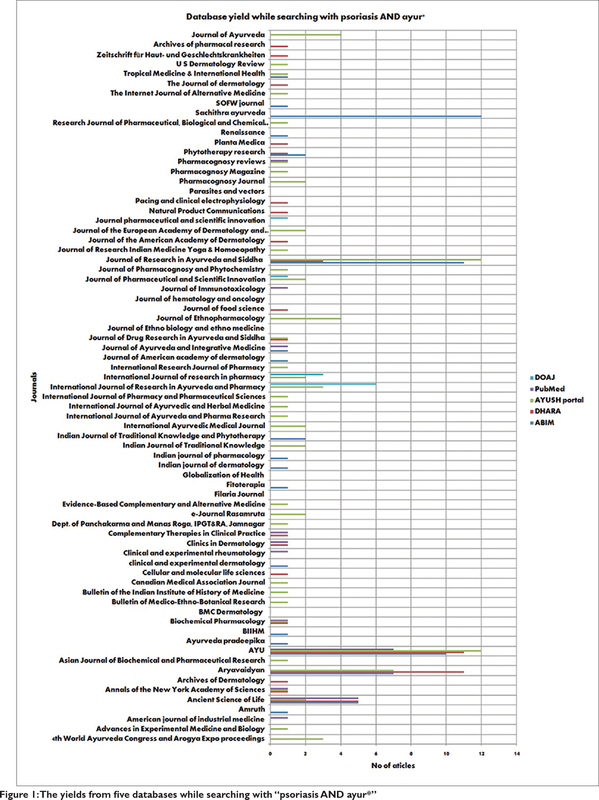 In 2010, authors identified 46 databases that can be used for systematic search of Ayurvedic papers and theses. This update reviewed our previous recommendation and identified current and relevant databases. Aims: To update on Ayurveda literature search and strategy to retrieve maximum publications. Methods: Author used psoriasis as an example to search previously listed databases and identify new. The population, intervention, control, and outcome table included keywords related to psoriasis and Ayurvedic terminologies for skin diseases. Current citation update status, search results, and search options of previous databases were assessed. Eight search strategies were developed. Hundred and five journals, both biomedical and Ayurveda, which publish on Ayurveda, were identified. Variability in databases was explored to identify bias in journal citation. Results: Five among 46 databases are now relevant – AYUSH research portal, Annotated Bibliography of Indian Medicine, Digital Helpline for Ayurveda Research Articles (DHARA), PubMed, and Directory of Open Access Journals. Search options in these databases are not uniform, and only PubMed allows complex search strategy. “The Researches in Ayurveda” and “Ayurvedic Research Database” (ARD) are important grey resources for hand searching. About 44/105 (41.5%) journals publishing Ayurvedic studies are not indexed in any database. Only 11/105 (10.4%) exclusive Ayurveda journals are indexed in PubMed. Conclusion: AYUSH research portal and DHARA are two major portals after 2010. It is mandatory to search PubMed and four other databases because all five carry citations from different groups of journals. The hand searching is important to identify Ayurveda publications that are not indexed elsewhere. Availability information of citations in Ayurveda libraries from National Union Catalogue of Scientific Serials in India if regularly updated will improve the efficacy of hand searching. A grey database (ARD) contains unpublished PG/Ph.D. theses. The AYUSH portal, DHARA (funded by Ministry of AYUSH), and ARD should be merged to form single larger database to limit Ayurveda literature searches. Introduction: Reporting of ethical approval and informed consent in clinical research articles involving human subjects is necessary as per the International Committee of Medical Journal Editors (ICMJE). Aim: To assess the reporting of ethics committee approval and informed consent in clinical research articles published in AYU journal. 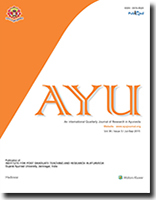 Materials and Methods: This was a retrospective analysis of published articles in AYU from 2012 to 2014. All original articles (clinical research) were included. Data was collected to note – Ethics Committee approval and written informed consent (assent from children when applicable). Descriptive statistics was used to report the findings. Results: A total of 104 articles were included in this analysis. Of these, 38 articles included children. Ethics committee approval was reported in 53 (51.0%) articles and consent was also reported in 51 (49.0%) articles. Thirty-eight (36.5%) articles reported both ethics committee approval and consent, whereas 38 (36.5%) articles did not report both. Only five articles reported consent from guardian or parent whereas none of the articles were reported assent. Conclusion: Findings from this study demonstrate that Ayurvedic clinical research articles lack in reporting ethics committee approval and written informed consent. Introduction: Ayurvedic classics have advocated to collect the medicinal plants according to part used and seasons in order to get desired pharmacological action and therapeutic benefits. The logic behind this principle is being validated by recent researches. Aim: To analyze the influence of lunar cycles on growth of Ashwagandha in Shishira and Greeshma Ritu (winter and summer season). Materials and Methods: Fourteen small crops of Ashwagandha of average size 10 cm were collected on October 7, 2013, from institute campus and then replantation was done at Charaka Herbal Garden, Gujarat Ayurved University, Jamnagar in an area of 60 cm × 60 cm (l × b). No fertilizers or pesticides were used. The plants were watered daily and plants were uprooted as per lunar cycles for analysis. Eight samples were collected and observed during Shishira and Greeshma season on Pournima(full moon) and Amavasya (new moon) days. The measurements were taken thrice and average values were taken into consideration for study purpose. The variations in morphological characteristics such as length, breadth, weight, and number of roots and twigs were studied through statistical procedure of principle component analysis, which makes interpretation of all possible related variables. Results: Root weight (RW), pith diameter (PD) and internodal distance (ID) were found to be increased on full moon days as compared to new moon days. The maximum RW was observed during Greeshma Aashadha Pournima. Conclusion: The study has shown a definite influence of lunar cycles on the growth of the plant parts assessed by RW, PD, and ID that have found to be increased on full moon days as compared to new moon days. 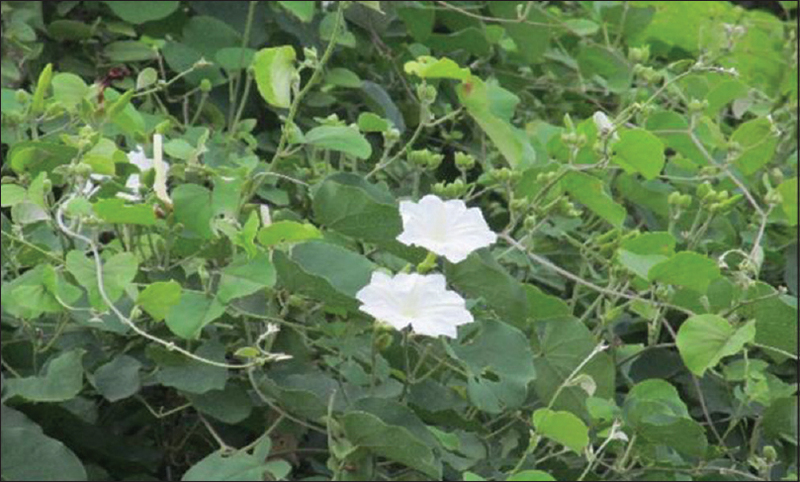 Introduction: In Ayurveda Tinospora cordifolia (Willd.) Miers., has been used for its Rasayana, Deepana, Jwaranashana, Tridosha Shamaka properties. It is an immunomodulator, useful in stress, hyperlipidemia, pyrexia. 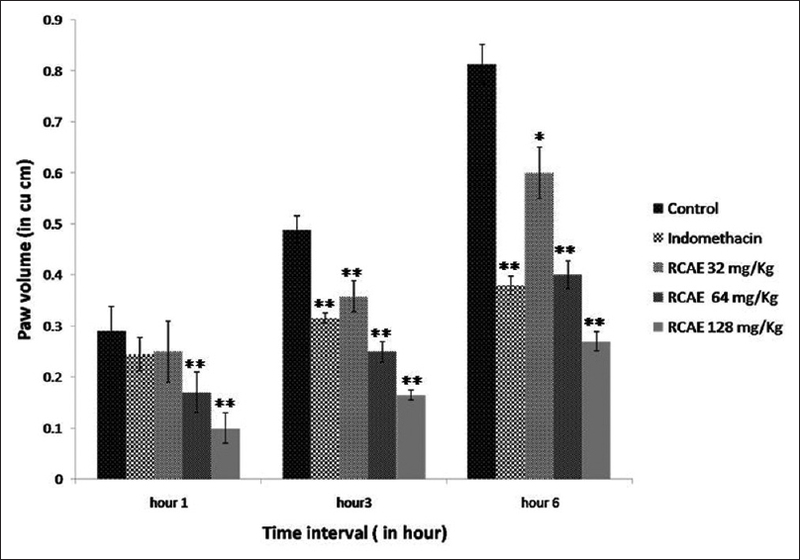 T. cordifolia was evaluated for adaptogenic activity in healthy volunteers during exercise. Aims: The primary objective of this study was to evaluate the effect of T. cordifolia on physical performance, and secondary objectives were to evaluate muscle power, maximal oxygen consumption, and sympathetic activity in comparison with placebo when subjected to physical stress. Materials and Methods: A total of thirty participants were randomly assigned into three groups (n = 10 each) namely placebo, TC 150 and TC 300. Placebo group received maize starch capsule, TC 150 and TC 300 received 150 mg and 300 mg, respectively of T. cordifolia aqueous extract in capsule form once daily in the morning for 28 days. The assessment was performed at baseline visit, day 14 and 28. Physical stressors were cycle ergometer exercise, Jammer's hand-held dynamometer, and cold pressor tests. Physical performance evaluated was maximum distance and speed, oxygen consumption (VO2 max), and hand grip strength. Cardiovascular response was assessed by multiple heart rate (HR) and blood pressure (BP) measurements during each test. Results: On day 28, TC 150 mg group showed a significant increase in mean maximum speed compared to placebo. On day 14 and 28, TC 300 mg group showed a significant decrease in mean systolic BP (SBP) and HR on fixed workload exercise compared to placebo. There was significant increasing dose effect of both TC groups on SBP on day 14 and 28 and on HR on day 28 only. On day 14 and 28, TC 300 mg showed a significant decrease in mean HR on the cold pressor test, compared to placebo. Conclusion: T. cordifolia improved physical performance and suppressed over activation of the sympathetic nervous system showing its adaptogenic property. Introduction: Bronchial asthma is one of the chronic inflammatory disorders of the respiratory tract causing a huge number of deaths annually. Increased industrialization and pollution are the exacerbating factors for this situation. In Ayurveda, this miserable condition is comparable with Tamaka Shwasa. Synthetic drugs provide instant symptomatic relief in cases of bronchial asthma but are known to develop certain adverse drug reactions. Considering this, the current suffering population is looking hopefully towards other systems of medicine such as Ayurveda for better relief. Ayurveda has a number of formulations to treat Tamaka Shwasa and is in practice with proven efficacy. Aims: To evaluate comparative clinical efficacy of Vasa Avaleha (VA) and its granules (GVA) in cases of Tamaka Shwasa. Materials and Methods: A total of 66 patients were registered and randomly grouped into A and B. Patients of Group A were treated with VA, while Group B with GVA at dose of 6 g twice a day with lukewarm water for the duration of 28 days. Follow-up was done after 14 days. The results were assessed in terms of clinical recovery, symptomatic relief, and pulmonary function improvement. Effect of the treatment was assessed based on subjective and objective parameters. Results: Significant improvement was observed in most of the cardinal and associated symptoms. Significant increase in peak expiratory flow rate, considerable decrease in absolute eosinophil count, and increased breath holding time were noticed. 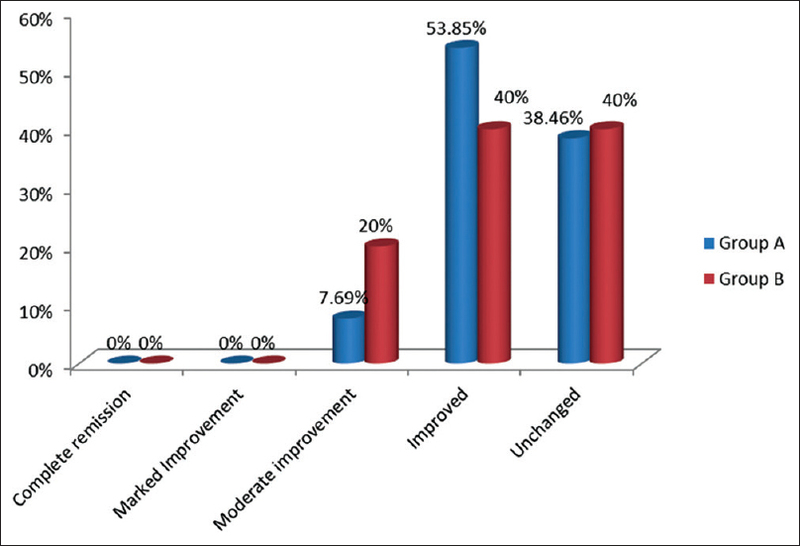 Withdrawal of modern emergency drugs, decreased frequency of attacks, improved quality of life were the major observations noticed in both groups. Conclusions: This study highlights the significance of traditional herbal formulations in noncommunicable diseases such as bronchial asthma, which can be used as an effective drug in place or along with modern drugs. Introduction: Dental caries is a universal disease. Dietary modification is important in reducing the occurrence of dental caries. Tea which is so frequently consumed with cariogenic starch rich food is proposed to have anticariogenic potential. The various mechanism has been proposed for same and one being inhibition of salivary amylase activity. Aim: To determine the effect of 1.5% black tea decoction on salivary amylase activity in children with high caries and no caries. Materials and Methods: A total of 30 children in the age group of 12–15 years were selected for the study. They were further grouped based on their decayed missing filled surface (DMFS) score into high-caries group (DMFS above 10) and no-caries group (DMFS = 0). After 2 h of fasting, subjects consumed two salted crackers for 60 s following which they rinsed with water and then with black tea decoction (1.5%) the very next day. Retained food particles were recovered salivary amylase activity was noted as maltose to sucrose ratio via chromatography. Results: The average ratio of maltose to sucrose ratio percentage reduction in high-caries group was 43.63% and 41.17% in no caries group which was highly significant (P < 0.005) while the intergroup comparison was found statistically insignificant. Conclusions: Tea decoction has inhibitory effect on salivary amylase activity thus dental caries. The effect was statistically insignificant in children with high- and no-caries index. Introduction: Senile cataract is the leading cause of blindness according to the World Health Report, 1998. Till date no accepted medical treatment is available for cataract. In Ayurveda visual disturbances are described in the context of Timira, Kacha and Linganasha. Timira is an early stage characterized by blurring of vision and Linganasha is end stage where complete loss of vision occurs. Ancient scholars have advocated different Anjana application and oral medications in the Timira and Kacha stage. Aim: To study the efficacy of test drugs Triphaladi Ghana Vati and Elaneer Kuzhambu Anjana in immature cataract. Materials and Methods: In this trial patients having Senile Immature Cataract were randomized with equal probability to one of the two treatment Groups A and B (n = 20 each). In Group A Triphaladi Ghana Vati 500 mg internally for 3 months and in Group B Triphaladi Ghana Vati 500 mg internally and Elaneer Kuzhambu Anjana for local application were given. Assessment was done on the basis of blurring of vision, visualization of nonexisting things, difficulty in bright light and dim light or night vision, distant visual acuity, pinhole vision, best corrected visual acuity and cataract grading on slit lamp. Results: Both groups showed statistically significant changes in blurring of vision, difficulty in glare, daytime and bright light, distant visual activity, pinhole vision, and best-corrected visual acuity. Group B also showed significant changes in difficulty in night time, visualization of nonexisting things and in nuclear cataract. 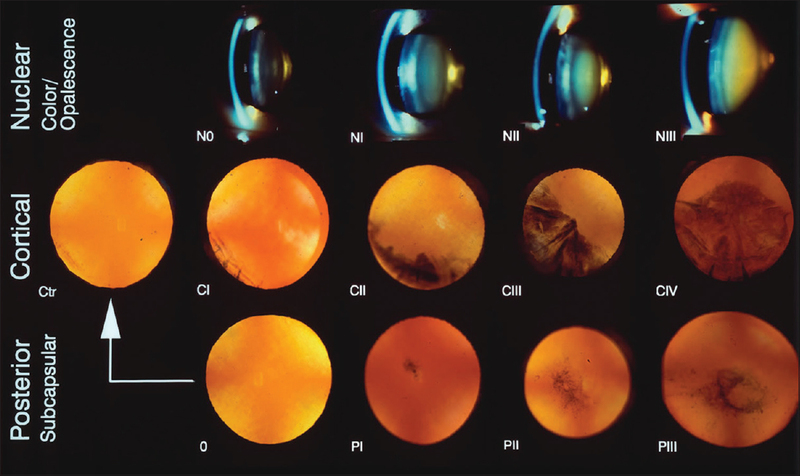 Conclusion: The study establishes that test drugs can reduce and control the progress of immature cataract, and combined therapy was found more effective. Chakshushya Rasayana, early diagnosis and proper management on Doshic lines can prevent arrest or delay senile cataract. Introduction: Iron deficiency anemia (IDA) is one of the most common nutritional deficiencies worldwide, which can be correlated to Pandu described in ayurvedic classics. Poor absorption of iron is one of the main reasons of IDA. Amalaki(Phyllanthus emblica L.) has Tridoshahara, especially Pittashamaka (pacifying Pitta) and Rasayana (rejuvenative) properties, thus nourishes the Dhatus and is also known to enhance the absorption of iron. Aims: To evaluate the efficacy of Amalaki Rasayana in the management of Pandu w.s.r. IDA. Materials and Methods: A randomized controlled open clinical trial was conducted at Institute for Post Graduate Teaching and Research in Ayurveda, Jamnagar. Iron deficient anemic patients (n = 25) having Hb <12g% in females and 13g% in males and S.Iron <50mg/dl were selected and divided into two groups. Group A was given 2 g of Amalaki Rasayana thrice a day with unequal quantity of honey and ghee for 45 days, while Group B was given 150 mg ferrous fumarate + 1500 mcg folic acid (standard control) once a day with water for 45 days. Assessment was done on the basis of relief in cardinal symptoms of Pandu and hematological parameters. Results and Conclusion: The formulation showed highly significant relief in Panduta(pallor), Daurbalya(weakness), Shirahshoola(headache), Shrama(fatigue), and Gaurava(heaviness) while statistically significant relief in Aruchi(anorexia) and Pindikodweshtan(leg cramps) was reported. On hematological parameters statistically significant increase was found in mean corpuscular volume and mean corpuscular hemoglobin while on biochemical markers statistically significant decrease was found in total iron binding capacity only. However the formulation was not found as effective as standard control. Background: Rivea hypocrateriformis (Desr.) Choisy is known to be the source plant of Phanji, a classically delineated leafy vegetable which is till date used by some hill dwelling Kandha tribes of Odisha. Though it is in use since a long time, it is not yet evaluated for its nutritive value. Aim: The leaves of R. hypocrateriformis were evaluated for its nutritive value and antioxidant potential. Materials and Methods: The in vitro antioxidant properties of the leaf of R. hypocrateriformis were screened through 1,1-diphenyl-2-picrylhydrazyl (DPPH) and total antioxidant capacity. Phytochemicals, crude protein, fat, carbohydrate, energy value, and mineral content of the leaves of the plant were evaluated with standard procedures. Results: In phytochemical analysis, tannin, alkaloids, flavonoids, and carbohydrates were present in leaf powder of R. hypocrateriformis. Energy content was found to be highest (331.54 kcals/100 g). Carbohydrate, fat, protein, calcium, magnesium, phosphorous, and zinc were present in 57.63%, 2.66%, 19.27%, 0.99%, 0.34%, 0.32%, and 0.011%, respectively. The IC50 values of the extract and ascorbic acid were found to be 254 ± 5.29 μg/ml and 11.67 ± 0.58 μg/ml, respectively. Percentage scavenging of DPPH radical was found to rise with increasing concentration of the crude extract. Total antioxidant capacity of the extract was found to be 111.30 ± 0.003 mcg. Conclusion: The results of this study indicate that the leaves of R. hypocrateriformis contain secondary metabolites such as tannin and possess mild antioxidant properties. Nutritional analysis indicates the presence of energy in highest amount, carbohydrates, proteins, fats, calcium, phosphorous, zinc, and magnesium. Introduction: Measuring chemical stability of polyherbal formulations is very challenging due to diversity in phytochemical composition. As there are no comprehensive guidelines for stability testing of herbal products, there is a need for a sensitive tool to detect how the quality of herbal products varies with time under the influence of environmental conditions. Aims: To validate the employability of high-performance thin layer chromatography (HPTLC) for real-time stability of Hutabhugadi Churna (HC). Materials and Methods: The chromatograms were developed using toluene/ethyl acetate/formic acid (10:5:1) and ethyl acetate/formic acid (10:1) as a mobile phase for chloroform and ethanolic extract, respectively. The plates were scanned under 254, 366, 540 (pre-derivatization) and 540 nm (post-derivatization). Samples were analyzed immediately after preparation and after 3rd and 6th months of storage. Alteration of fingerprint profiles from the initial pattern, in terms of number of peaks, was employed as diagnostic tools. 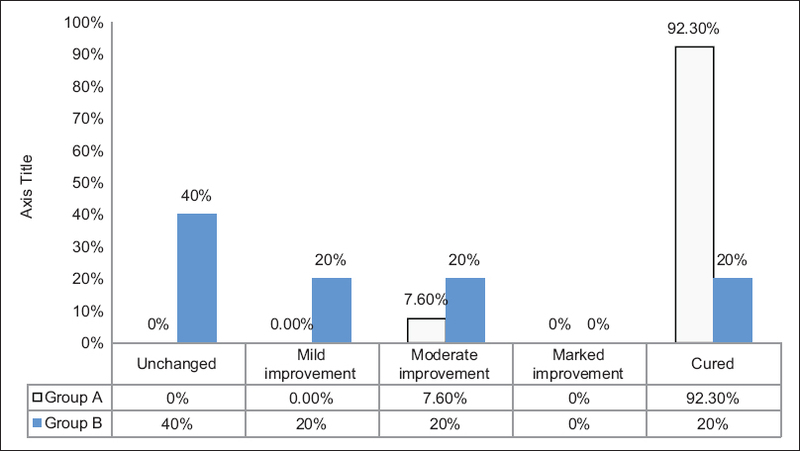 Percentage variation in composition at given period was calculated. Results: HC is found to be stable at room temperature up to 1.3 months using the method of calculation of 10% degradation period employing slope and intercept values for the initial, 3rd and 6th months' deviation in number of bands. The data obtained were subjected to regression analysis in context to number of bands obtained. The curve was found to be linear with R2 value of 0.89–0.96 supported by their tolerance range of 0.04–0.11. Conclusion: The proposed model is a new logic with prospects to become working method for stability assessment of polyherbal formulations under controlled conditions. Introduction: Vasarishta built upon Mritasanjeevani Sura (MS) is a polyherbal hydro-alcoholic anti-asthmatic formulation which is administered in a dose of 1 ml instead of standard dose 40 ml, generally advocated for any “Asava–Arishta” in Ayurveda. 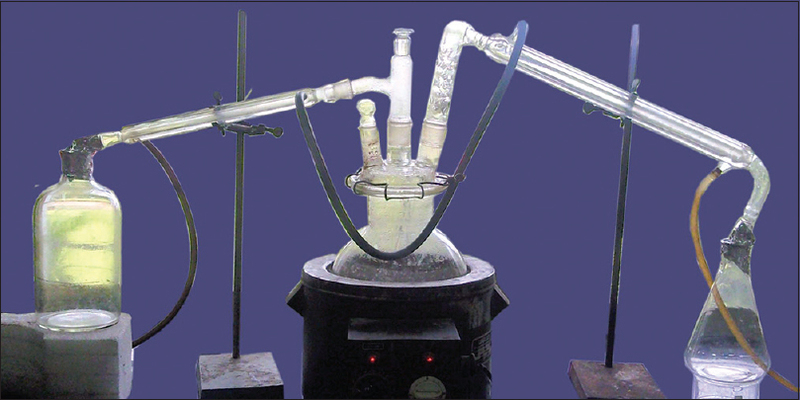 Aim: The present study was aimed at finding out rationale for the peculiar distillation process to manufacture MS followed by Sthapana process to make Vasarishta. It was further aimed to find out difference in Vasarishta samples manufactured by purely fermentation process and the peculiar method mentioned above. Materials and Methods: Three batches of MS and subsequently three batches of Vasarishta were prepared. Basic standardization and development of standard operating procedure for the same were achieved by doing pH, percentage of alcohol and total reducing sugar, specific gravity on both MS and Vasarishta, during and after completion of process. Finally, MS and Vasarishta (built upon MS) made in laboratory were compared with marketed samples of MS and Vasarishta using gas chromatography. Results: The types of alcohols and volatile acids in MS and Vasarishta, prepared in laboratory, are similar but the proportions differ, which is taken as an indicator of process standardization. Values of furfural, ethyl acetate, and 1-butanol in lab samples are within permissible limits as against the values of the market samples. Conclusions: The textual process for the production of Vasarishta proved to produce organoleptically acceptable product which is virtually free of toxic compounds such as furfural. Introduction: Ayurvedic texts describe many formulations for different ailments. Triphala Guggulu (TG) is reputed for treating inflammatory conditions. These formulations have been considered complementary medicine or alternative to conventional medicines across the globe. These complex polyherbal formulations need science-based approach toward manufacturing process and chemical standardization. Aim: To evaluate TG tablets to meet modern pharmaceutical approaches and also standardization processes. Materials and Methods: Shodhana of Guggulu was performed using Triphala Kwatha (decoction) as mentioned in ayurvedic texts. This processed material was dried using spray drying technique, blended with other herbal powders as per formula and using suitable excipients was incorporated for compressing into tablets. Excipients and their concentrations were evaluated for various micromeritic properties and the formula that met the requirements was compressed. Results: The angle of repose was considered fair with a range of 25–30, Carr's index at a range between 17 and 30, and Hausner ratio of 1.21:1.44, which was well within the limits as per the United States Pharmacopeia (USP) and among the three blends tested, blend Triphala Guggulu formulation-3 was found most suitable for tablets compression. Physical properties were well within the limits as per the USP and disintegration time was within 30 min. Conclusion: Modern pharmaceutical processing can very well be adapted for Guggulu preparations. Introduction: Most of the pharmaceutical effects of alcohol are due to its accumulation in the brain. Ksheerabala (101) an Ayurvedic formulation mainly used against central nervous system disorders. Aim: To determine the antioxidant and neuroprotective effect of Ksheerabala(101) on alcohol-induced oxidative stress in rats. 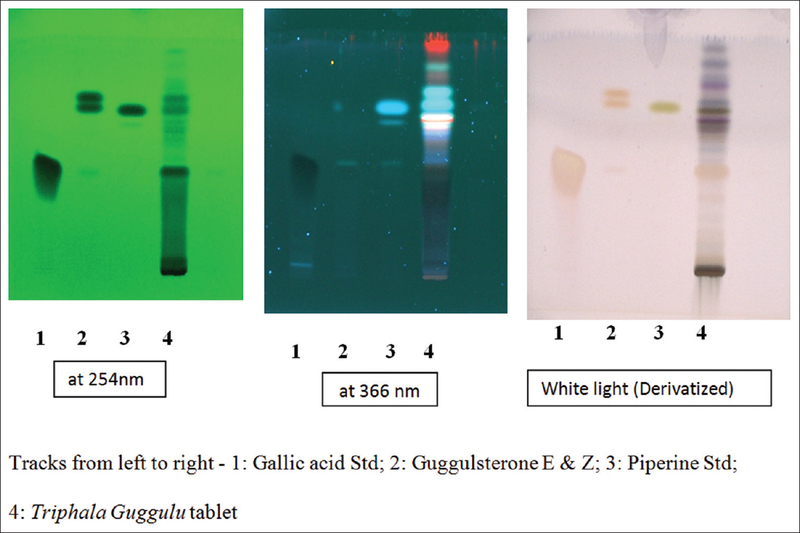 Materials and Methods: Male Albino rats of Sprague-Dawley strain were grouped into four; control, alcohol (4 g/kg), Ksheerabala (15 μL/1 ml milk/100 g) and Ksheerabala (15 μL/1 ml milk/100 g) + alcohol (4 g/kg). After the experimental period (90 days), the animals were sacrificed and the effect of Ksheerabala (101) was studied on oxidative stress, inflammatory markers, and induction of transcription factor in brain. Results were statistically analyzed by one-way ANOVA. Results: The activities of antioxidant enzymes and reduced glutathione which were decreased in alcohol-treated rats, increased significantly in co-administered groups. The lipid peroxidation products and protein carbonyls which were increased significantly in alcohol-treated rats decreased significantly in co-administered groups. The expression of gamma-glutamyl cysteine synthase decreased significantly in alcohol-treated rats and increased significantly in co-administered groups. 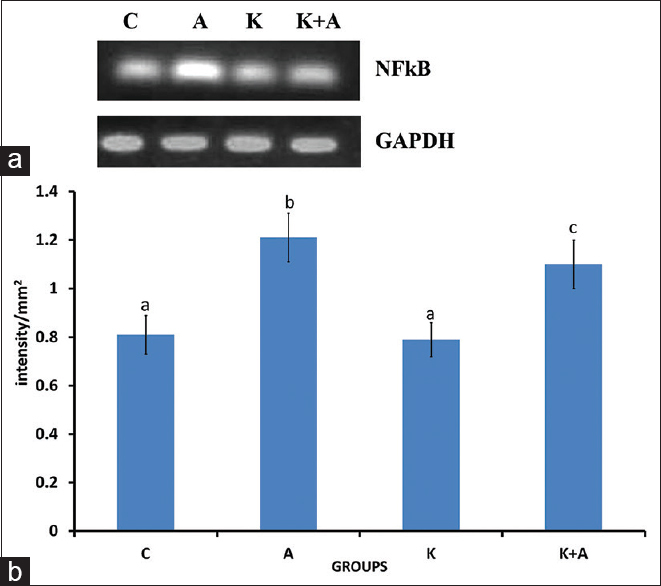 The transcription factor nuclear factor-κB (NFκB) which was up-regulated in alcohol-treated rats was down-regulated in co-administered rats. The histopathology reinforced these results. Conclusion: Ksheerabala (101) attenuates alcohol-induced oxidative stress and down-regulates the expression of NFκB in rat brain. Introduction: The root of Plumbago zeylanica Linn. is used in traditional medicine for the treatment of chronic inflammatory diseases and various disorders. The toxicity of this plant has not yet been extensively evaluated. Aim: To evaluate and compare the toxicity of P. zeylanica root petroleum ether (PZPE), acetone (PZAC), and the hydroalcoholic (PZHY) extracts. Materials and Methods: The acute and sub-acute toxicities of extracts were evaluated according to OECD guidelines 425 and 407, respectively in female rats. 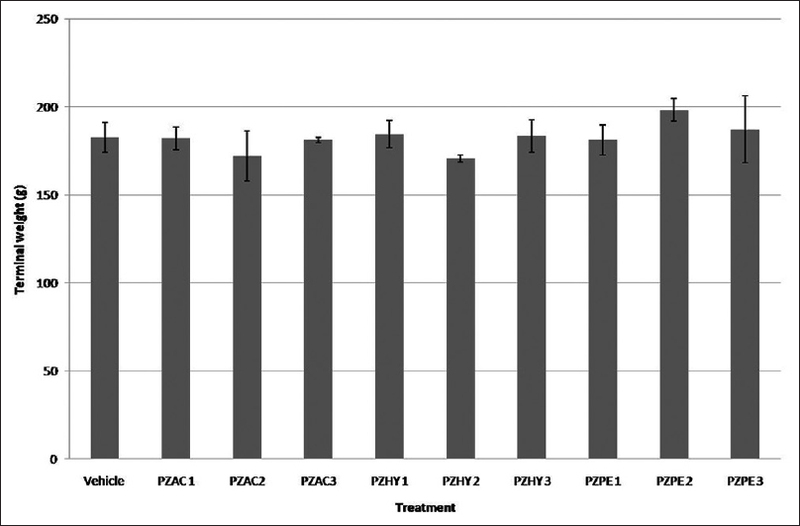 Results: PZPE was more toxic than PZAC and PZHA, based on LD50 values of 93.45, 928.4, and 928.4 mg/kg, respectively. This potency difference directly correlates with the plumbagin content of extracts. With regard to sub-acute toxicity, a significant increase in organ weights (liver, adrenal glands, and/or heart) was observed in PZPE and PZAC treated groups. All extracts produced a significant increase in serum aspartate aminotransferase and urea, and PZAC produced a significant increase in serum creatinine as compared to control. A decrease in hematocrit was observed in the highest dose PZPE group, and a decrease in leukocytes was observed in all PZAC groups. Hepatic and renal changes were observed in all extract treated groups. Conclusion: The findings of our study, thus demonstrate that liver and kidney are the primary organs being adversely affected following sub-acute administration of P. zeylanica root extract in rats. Introduction: Albizzia lebbeck (L.) Benth. (Family - Leguminosae) extract is a proven mast cell stabilizing agent. Mast cells are involved in the inflammatory processes leading to the diabetes mellitus. Aim: To evaluate the effect of A. lebbeck against experimentally induced type 2 diabetes mellitus in rats. Materials and Method: Female Sprague-Dawley rats were randomly allocated to six groups (n = 6). Diabetes was induced by single intraperitoneal injection of streptozotocin (50 mg/kg) given after 15 min of nicotinamide administration (110 mg/kg). 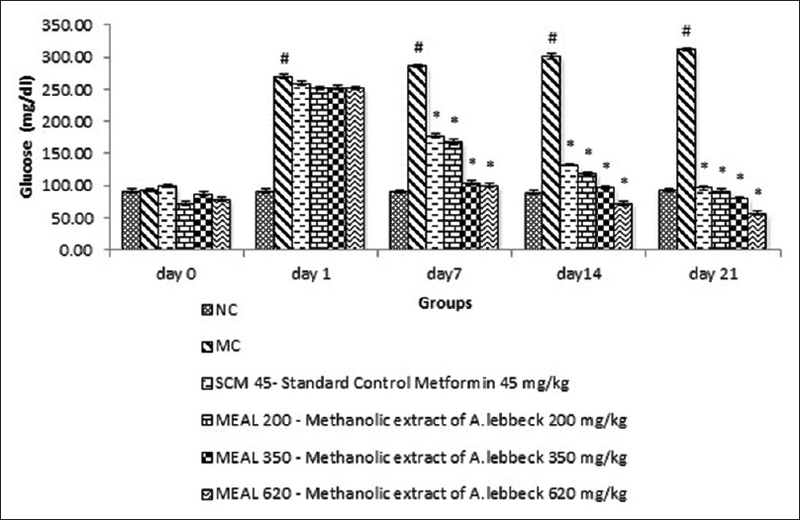 Treatment with methanolic extract of A. lebbeck bark (MEAL) and metformin drug as standard was given for 21 days. Serum glucose (GLU) levels were measured on the 0 day and on 1st, 7th, 14th and 21st day after diabetes induction. After completion of study period, various biochemical parameters in serum such as - GLU, lipid profile, urea and creatinine were estimated. One-way analysis of variance followed with post-hoc Dunnett's test was used to analyse the data. Statistical significance for the values was set at P< 0.05. Results: MEAL significantly decreased the level of serum GLU, creatinine, urea, cholesterol, triglycerides, low-density lipoprotein-cholesterol, very low-density lipoprotein-cholesterol and increased high-density lipoprotein levels. Conclusion: A. lebbeck bark extract showed antihyperglycaemic activity along with antihyperlipidemic effect. Introduction:Rosa centifolia L. (Rosaceae) have been used for the treatment of joint pain and rheumatoid arthritis (RA) in the traditional system of medicine. Aim: In this study, the antiarthritic activity of the alcoholic extract from the floral parts of R. centifolia was investigated. Materials and Methods: The anti-inflammatory and antiarthritic activity of R. centifolia alcoholic extract (RCAE: 32, 64, and 128 mg/kg) was evaluated using the carrageenan-induced paw edema and complete Freund's adjuvant (CFA) induced arthritis model. Serum from arthritic rats was collected for the estimation of pro-inflammatory cytokine levels. Further, the safety of RCAE was evaluated in an acute and sub-acute (28-day) oral toxicity study. Results: RCAE (64 and 128 mg/kg) significantly (P < 0.01) inhibited carrageenan-induced paw edema at 1, 3, and 6 h post carrageenan challenge and demonstrated significant (P < 0.01) antiarthritic activity on days 3, 7, 14, and 21 day following CFA immunization. Further, RCAE (128 mg/kg) treatment also produced a significant (P < 0.01) decrease in circulating pro-inflammatory cytokine levels as compared with control. Further, no toxicologically significant treatment-related effects were observed in the oral sub-acute toxicity study conducted with the extract. Conclusion: The result of study demonstrates the antiarthritic activity of R. centifolia and validates its traditional use for the treatment of RA. Introduction: Though metal based drugs have been prescribed in Ayurveda for centuries to treat various diseases, such as rheumatoid arthritis and cancer, toxicity of these drugs containing heavy metal is a great drawback for practical application. So, proper scientific validation of herbo-metallic drugs like Arkeshwara Rasa(AR) have become one of the focused research arena of new drugs against cancers. Aim: To investigate the in vitro anticancer effects of AR. Materials and Methods: Anticancer activity of AR was investigated on two human cancer cell lines, which represent two different tissues (pancreas and skin). 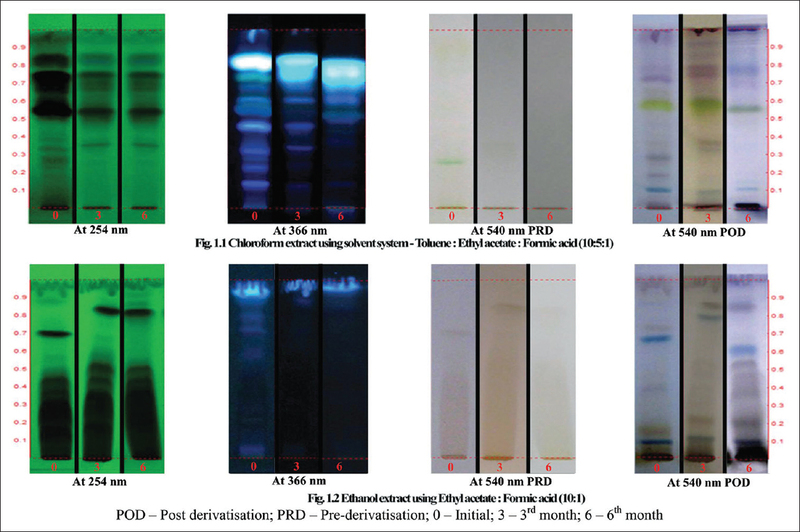 Lactate dehydrogenase (LDH) assay for enzyme activity and trypan blue assay for cell morphology were performed for further confirmation. 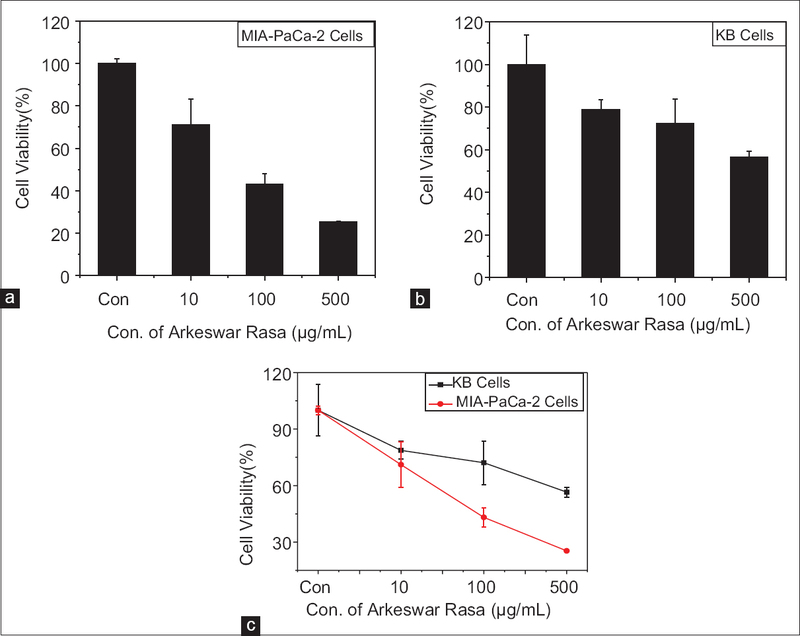 Results: AR showed potent activity against pancreatic cancer cells (MIA-PaCa-2). LDH activity confirmed that AR was active against pancreatic cancer cells. Finally, it was observed that AR exhibited significant effects on cancer cells due to synergistic effects of different compounds of AR. Conclusion: The study strongly suggests that AR has the potential to be an anticancer drug against pancreatic cancer. Introduction: Prevalence of diabetes and its complications have been a burden to the society from the ancient times, in the present and also will be in the future unless proper measures are taken to prevent its manifestation. There have been an increasing number of death associated-amputation cases which are mainly caused by nonhealing wounds. These facts urge researchers to develop new, more effective wound treatments for diabetic patients. Aim: To evaluate and compare the effect of Katupila Kalka (Securinega leucopyrus [Willd.] Muell. leaf paste) and Tila Taila (Sesamum indicum oil) in Madhumehajanya Vrana (diabetic wounds/ulcers) with Betadine ointment. Materials and Methods: A total of 23 patients of Madhumehajanya Vrana were chosen and randomly divided into two groups (Group A and B). Patients of Group A were treated with local application of Katupila Kalka with Tila Taila, whereas, in Group B, Betadine ointment was applied on the affected parts, once a day in the morning for 30 days. The relief in signs and symptoms were assessed on scoring pattern. Results: In Group A, diabetic wounds treated with Katupila paste got healed within 28 days with minimal scar formation without any complications, whereas in Group B, wound was healed completely only in two patients within 28 days. In both the groups, no patients reported any adverse drug reaction during the entire course of treatment as well as in follow-up period. Conclusion: Study concluded that the drug Katupila Kalka possesses Vrana Ropana (wound healing) activity with fine scaring. Introduction: Drugs that induce diuresis are known as diuretics. Diuretic drugs act either by increasing the glomerular filtration rate (or) by decreasing the rate of reabsorption of fluid from the tubules. In recent years, interest in herbal agents as therapeutic treatment option has increased due to their limited side effects. Aim: To evaluate the diuretic activity of various extracts of whole plant of Biophytum sensitivum (Linn.) DC. in Wistar strain albino rats. Materials and Methods: Randomly selected animals were divided into five groups (n = 6 in each). First group served as a control group. Group 2 served as standard control in which furosemide was administered at a dose of 10 mg/kg. Groups 3–5 as test drug groups, in which chloroform, methanol, and aqueous extracts of B. sensitivum were administered orally at a dose of 200 mg/kg. The diuretic activity was evaluated by determination of urine volume and urinary electrolyte concentrations of sodium, potassium, and chloride ions. Results: Methanol and aqueous extracts significantly increased the urinary output and excretion of electrolyte concentrations of sodium and potassium comparatively better than the standard control, and chloroform extract showed insignificant effect. Conclusion: The study concluded that B. sensitivum possess moderate to significant diuretic activity.